I’ve said it many times before, but I’ll say it again: I’m a big fan of Jo Malone London. To me, they do what they do very well and what they do is create easy wearing fragrances that feel comfortable both on the skin and in the home. Sure, they’re not pushing the known boundaries of olfaction, but they often add a contemporary and eccentric twist to their fragrances, taking the familiar and making it novel. Most importantly though, Jo Malone London fragrances tick the box that should be first and foremost on every perfume lover’s priority list: they smell good. 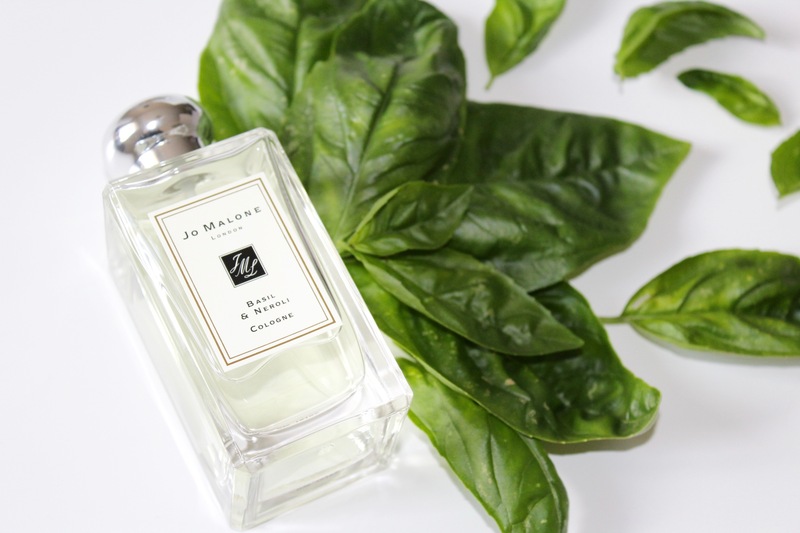 Basil & Neroli was created by perfumer Anne Flipo, the nose behind L’Artisan Parfumeur’s La Chasse Aux Papillons and Jo Malone London’s Herb Garden Collection. She describes the fragrance as “a fresh, sophisticated, sensual floral with green facets” adding that it is “stunning in its simplicity”. The brand however, calls it a “London lark”, positioning Basil & Neroli as something much more fun, playful and quintessentially British. Whether it be refined or rowdy, what’s for sure is that Basil & Neroli is a fragrance created in the Jo Malone London school of thinking, meaning that it serves up an unusual twist on two familiar ingredients, juxtaposing the savoury & the sweet, and the green & the white. It’s spring, which means that it’s Aqua Allegoria season! I always enjoy Guerlain’s mini-line of simplistic, nature inspired fragrant ditties because they are easy breezy wears that are such fun in the summer. They showcase fruits and flowers in an intelligent and high quality manner but with a sense of style and fun. This year, the mainstream AA is Pera Granita – a sweet little daydream that feels more like a scoop of ice cold pear sorbet than it does a fragrance. Click here to head on over to Escentual to read my review in full. Thierry Mugler’s annual reimagining of their flagship masculine fragrance, A*Men (the counterpart to the iconic Angel) is pretty much a tradition at this point. Each and every year the brand treats us to the signature of Angel Men zhuzzed up into something new and exciting. So far, we’ve seen our mate, A*Men; smoke tobacco (Pure Havane), drink whisky (Pure Malt), chase some chilli (A*Men Le Goût du Parfum) and even dabble in the world of lumberjackery (Pure Wood). The A*Men family is made up of a bunch of fraternal twins that all have a different sense of style – and what a great bunch they are. 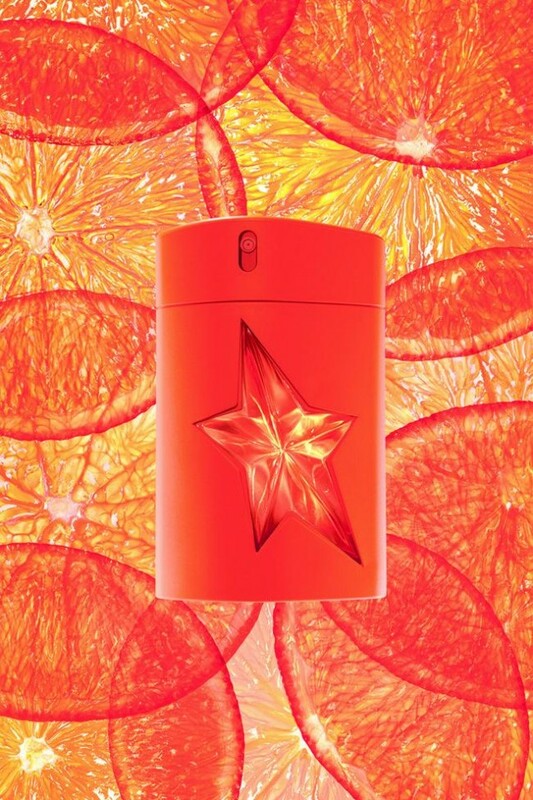 For 2015, Mugler is doing something a little bit different with A*Men by putting it into a citrus setting. The bottle has been dyed a fabulous shade of neon orange, as has the fragrance for that matter. This new edition (penned by Jacques Huclier and Quentin Bisch) is entitled A*Men Ultra Zest, and as the name would suggest, it focuses on an array of mouthwatering citrus notes to accentuate A*Men’s cosmic cocktail of gourmand treats. Unlike many other citrus fragrances, Ultra Zest is bold and daring. What else could we expect from Mugler? Hermès have to be admired for their consistency. Since installing the inimitable Jean-Claude Ellena as their in-house perfumer (he is soon set to retire and step down from his post), the house has regularly turned out fascinating, beautiful and nature-inspired fragrances in a cohesive style. Ellena’s perfumes for Hermès are not grand dames or challenging experiments, they are landscape paintings in pastel-coloured chalks or water colours. Their transparency and weightlessness are what sets them apart from the crowd, and whilst they follow a distinct style, they never fall into the trap of being too similar. There is variety in this extensive oeuvre as well as beauty. One of Hermès more popular collection of fragrances is the ‘Les Jardin’ series. The five fragrances from this series are designed as fragrant tales of lengthy strolls through glorious gardens in various locations around the globe. Whether they be set on a roof top in Paris or along the Nile in Egypt, these are transportive scents that fit somewhere between abstraction and reality. Their delicate and translucent style gives the impression that air from each location has simply been bottled, and as one sprays this scented oxygen, the garden comes to life right in front of their eyes (or should I say, ‘nose’). 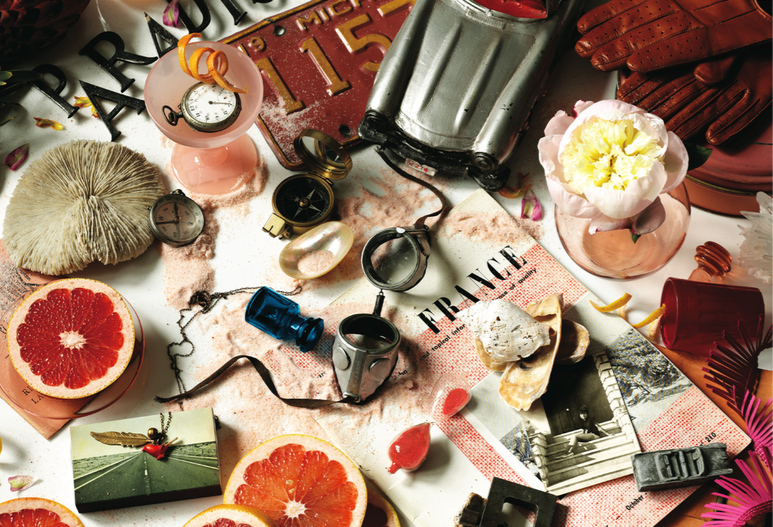 For 2015, Hermès has launched ‘Le Jardin de Monsieur Li’. Following a visit it to China, Jean-Claude Ellena pieced together this imaginary idea of a Chinese garden, that is designed as a retreat – a contemplative place for the visitor to take solace in and seek tranquility, and peace. 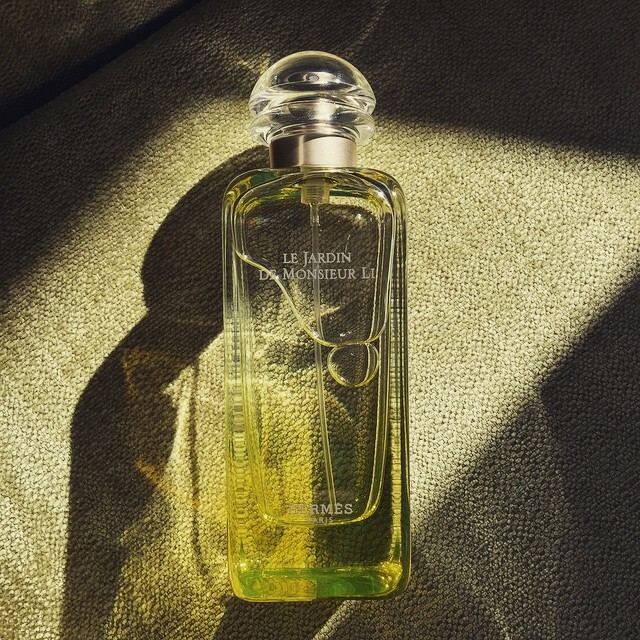 “We all have something in us of Mr Li” says Hermès, and we all need a safe haven to run off to when the stresses of life take hold – Le Jardin Monsieur Li is that very place, and in it one can seek both happiness and a true sense of calm. Work is stressful. I know, I know, I’m playing the role of Captain Obvious here, but sometimes it just needs to be said, and I’m sure many of you would agree. Anyway, work is stressful and it’s important to enjoy some ‘me’ time after a long hard day at the office. We all have ways of relaxing. My method is tea. I don’t drink tea all day at work but when I get home, I always have a cup of Earl Grey. This has almost become a ritual and often, when that cup is finished, the stress of the day has been washed away and I’m ready to enjoy the evening. I feel cleansed. I think that putting on my skeleton pyjamas helps too, but that’s another post for another day. Tea has been used for ritualistic purposes in many cultures for thousands of years, but it hasn’t really made much of a break into perfume, despite the fact that it smells heavenly, in all of its varieties. Honestly, there is no odour on Earth more pleasing than a fresh box of bergamot heavy Earl Grey – it’s powdery, zesty and fizzing with black tea goodness. Let’s not even get into the realms of Lapsang Souchong and Jasmine tea – we’ll be here for a while. In short, tea smells great and there is only a handful of decent tea fragrances out there, which is a shame. Well stop the presses, dear friends, because I think I’ve found a really good one. It’s called L’Ile au Thé (Island Tea) and it comes from chic French fragrance house, Annick Goutal. 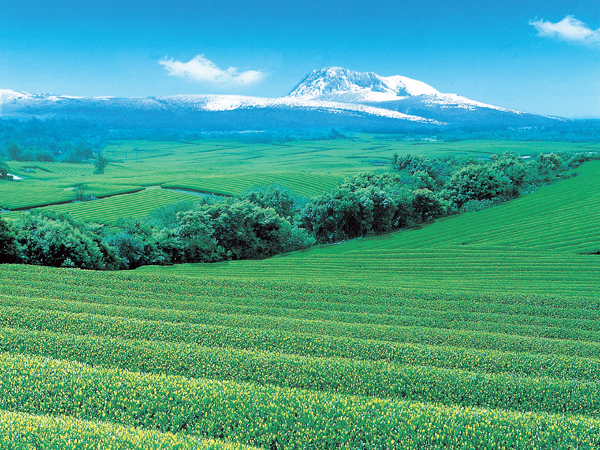 Created by Goutal’s in-house perfumers, Isabelle Doyen and Camille Goutal, L’Ile au Thé takes inspiration from the volcanic South Korean island of Jeju, where the landscape is littered with fields of tangerines and hills brimming with tea. L’Ile au Thé is more than just a tea fragrance thought – it’s a mood and a feeling, and a restorative landscape born from fire, air and greenery. This is a fragrance that encourages one to spritz, sit back and just breathe. Niche cologne brand, Atelier Cologne, seems to have mastered the world of citrus notes. Often seen as the most perky and revitalising notes in perfumery, citrus notes are as enjoyable as they are temperamental, with the idea of a photorealistic citrus painting that is both long lasting and realistic appearing as somewhat of an elusive enigma. Atelier Cologne proves that this ideal isn’t unobtainable, and they offer a whole host of ‘Cologne Absolues’ (colognes in pure parfum strength) that display dazzling, delicious and decidedly good citrus notes. Out of all of their offerings, last year’s Cédrat Enivrant really struck me as an idealised cologne. It had everything one expects and hopes for from the genre – freshness, lightness and tartness – with the added bonus of strength and longevity. Cédrat Enivrant is the best example of Atelier Cologne’s penchant for modernising and improving the traditional eau de cologne, and it’s a theme they have continued with the launch of Pomélo Paradis, their latest scent, and the final edition in their Collection Originale. According to the brand, Pomélo Paradis “marks the inevitable encounter between a man and a woman always destined to be together”. This new “neo-cologne” also marks the brand’s fifth anniversary too, and they’re celebrating with a super-fresh, super-sweet and super-clean taken on the bright, and dazzling citrus tones of pomelo. In the words of Atelier Cologne, Pomélo Paradis “celebrates the elegance of citruses”, and I can’t put it any simpler than that. Thierry Wasser, in-house perfumer at Guerlain, recently likened the penchant brands have for creating numerous flankers to a “sickness” and when looking at the numerous incarnatons of the house’s flagship fragrance, Shalimar, it’s easy to see why. In the last five years we’ve seen seven, that’s right, seven new Shalimar flankers ranging from the sublime Parfum Initial and Ode à la Vanille to the less interesting Parfum Initial L’Eau, and on occasions the brand has stretched the Shalimar association pretty thin. With their latest flanker, Shalimar Souffle de Parfum, the link has become so emaciated it may have finally snapped. Sniffing the flanker, it’s pretty difficult to pick out exactly how the two fragrances are alike. Shalimar is a grand dame of the oriental world, showcasing bubbling bergamot, smoky-sweet vanilla powder and tons of heavy resins. Souffle de Parfum on the other hand is, well, the complete opposite of that. It may not be worthy of the Shalimar name, but does that mean that it’s a bad fragrance? Guerlain describe Souffle de Parfum as a “gently perfumed caress” ² and a “breath of extreme sensuality” ², with the ‘Souffle’ here referring to the French word for breath, as opposed to anything culinary-related. It has been designed to celebrate the lighter facets of Shalimar, specifically focus on the shining citrus that famously graces the Oriental Queen’s top notes, and the plush vanilla that sits at her core. In that respect, Souffle de Parfum succeeds, merging these two themes together to create something that may, or may not be Shalimar, depending on how one looks at it.